4. There would also be consolation prizes for five runners up plus publishing. 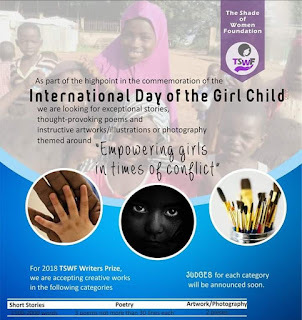 Entry fee is one thousand naira only (1, 000) to be paid to “The Shade of Women Foundation” – 0768411067 (ACCESS BANK). After the payment, entrants should include evidence of payment in their entries.